Easy on the palate, the eye and the wallet, our health-conscious electric fryers enable you to whip up your favourite fried foods at home without compromising on taste or crispiness. 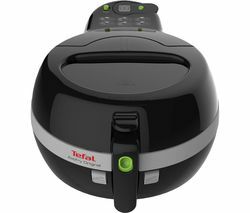 With just one spoon of oil, electric fryers can cook anything from home made crisps and deep fried chicken to samosas and delicious, crispy desserts. The Currys small kitchen appliances range of fryers are equipped with features like large viewing windows, oil and vapour filters and ready-to-cook indicator lights. 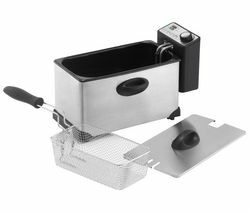 An electric fryer is also a safe option to cooking with oil in a pan as most are fitted with lockable lids and rubber feet.